UBC Library now has access to Session Laws Library. 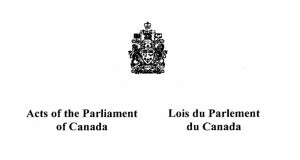 This contains collection contains the session laws of all 50 U.S. States (as well as the Acts of the Parliament of Canada from 1926 1883-2007 (more added!) and Australia) from approximately 1995 to present. Future releases in HeinOnline will include new session laws as published as well as expanded coverage of historical session laws prior to 1995.